As an avid sports fan, I am always looking for THE place to watch the game with family or friends. 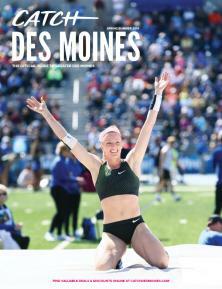 There are many places you can enjoy a bite to eat and plenty of TV’s in Greater Des Moines; Buffalo Wild Wings, Legends, Johnny’s Hall of Fame, Granite City (the list goes on and on). However, I found a new place I wanted to share with my fellow sports bar enthusiasts: Spectators Sports Bar and Grill. 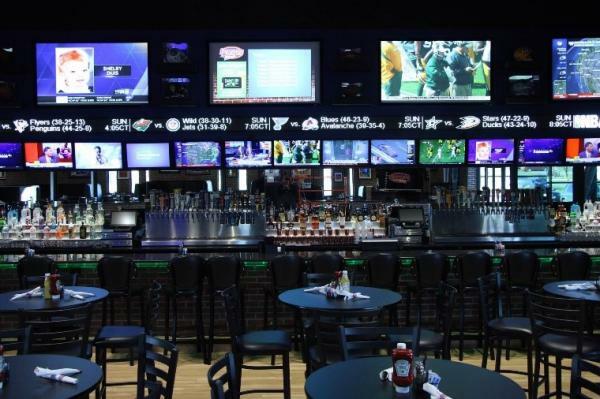 Spectators has more than 120 TV’s and a sports ticker so you can keep track of all the games at once. This will be a great spot to catch multiple NFL games at one time. It will also be perfect for when March Madness rolls around again! I recently watched the hockey game on the 220 inch screen. Yes, you read that right. 220 inch screen! It took up the ENTIRE wall and it was awesome! Now for the food. 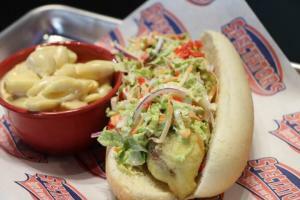 The menu features your favorite stadium eats like burgers, hot dogs and nachos. We enjoyed extra spicy Bloody Mary’s, Fried Pickles, Chicken Wings, a Tasty Taco Burger and a Matsui Dog. The Matsui Dog is tempura fried with Asian slaw, wasabi cream and pickled ginger. It’s just one of 6 specialty hot dogs they offer. 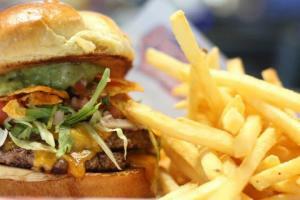 As for the Tasty Taco Burger, it was made up of seasoned patties with shredded lettuce, tomato, pico de gallo, guacamole and Doritos on a toasted bun. YUM! Pair all the food with the 220 inch TV and it made me feel like I was at the game. As we enjoyed our food and watched the hockey game, we felt right at home. The staff was friendly and the food came out piping hot. The buzz of families and other sport enthusiasts made for a fun, relaxed atmosphere. Spectators is located in between Adventureland Park and Prairie Meadows! What’s your favorite sports bar in the metro? I’m ready to test out another! Book worm. Hockey Buff. Reality TV junkie. Chicken Wing lover.